Sprawling four bedroom rancher with an open floor plan, cathedral ceilings, two en suite masters, living room, family room and a large galley style kitchen tying it all together. Entire living area has hand scraped hickory hardwood floors. One master has a separate entrance and is large enough to create an in-law apartment. Stainless steel appliances, to include a dishwasher and plenty of recessed lighting in the kitchen. A sliding glass door leads to huge deck for easy indoor/outdoor entertaining. 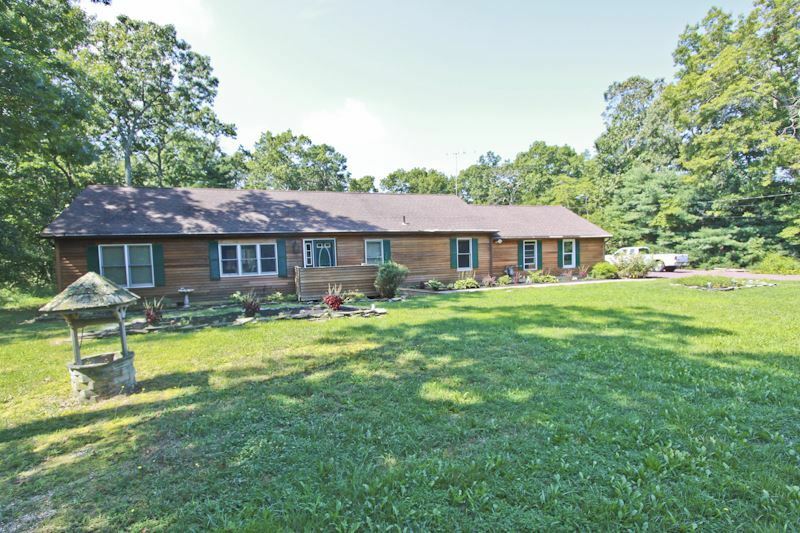 This home is built on 3.2 acres so there&apos;s plenty of room for all your toys, equipment or even a horse or two. Natural gas and solar panels keep the monthly expenses lower than normal for a home this size. This home has been professionally cleaned and pressure washed for the new owners.